Just a week before Christmas in 2012, I discovered I was seven weeks pregnant, ill and without healthcare. I owned a public relations firm and had just completed contract work as a Press Secretary for a US Congressional campaign. With new contracts to begin in January, I was desperate to find healthcare before the holiday season impeded my efforts. I was unsuccessful. Without an income or the ability to work, I was forced to close my firm and navigate from my couch how to obtain health care, keep my home and feed my growing fetus. Two months prior I met several Texas State Senators and notable political leaders. I was writing speeches and articles regarding salient topics such as Medicaid and debating healthcare issues. Now I, in a moment of crisis, became one of those statistics. By mid January, my body was in distress from the pregnancy. Without healthcare, doctors were unwilling to see me. There was no room to allow fear or worry to paralyze my actions. At the age of 41, I was at a high risk for miscarriage or the baby could have developmental issues. I finally succumbed and applied for Medicaid. I had to abandon my pride and put my baby first. While waiting for the approval of Medicaid, I spent my time researching alternative solutions. Austin LifeCare is a nonprofit helping families through unplanned pregnancies, pregnancies faced with medical crises or other family trauma. Austin LifeCare became a place of refuge. As part of their many free services, Austin LifeCare provides a free sonogram. I literally jumped at it. Their program was the first real peace of mind I had in weeks. The sonogram confirmed that despite my body’s state, my baby was safe and healthy. During the next seven months, I pushed forward finding solutions to food, housing and resources. Not completely willing to accept my fate, I kept seeking work in order to remain in the mainstream. It soon became clear, that working a fulltime job wasn’t a healthy choice during my pregnancy and I had to re-evaluate my entire life and career. So I started creating a Plan B: safely deliver my baby girl while keeping a roof over my head. That goal proved to be less than easy. I learned that many public and privately funded programs available to help Austin families in need had to cut their programs due to the overwhelming demand and lack of funding. There’s a silent growing epidemic in Austin with a number of the middle class in poverty. 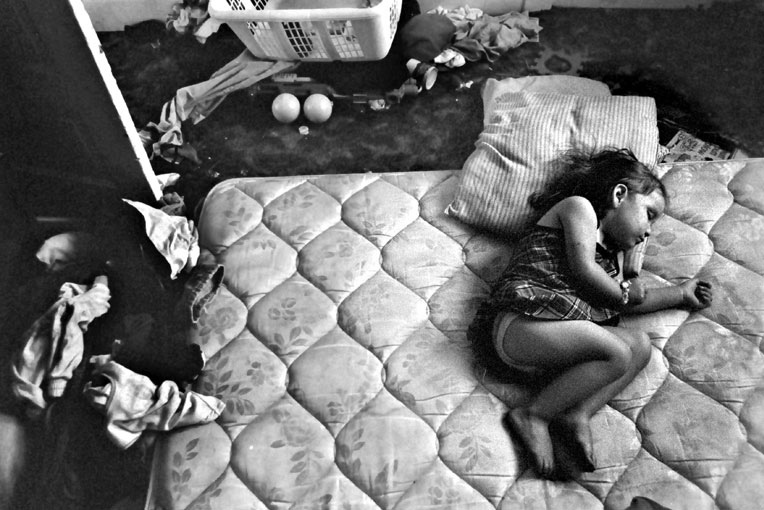 In fact, one of the fastest growing homeless populations is women and children. In Travis County an estimated 197,657 individuals (18% of the total population) live in households with incomes below the poverty threshold. With the median household income reported at $59k in 2012, more than one-third (36%) of Travis County residents, or an estimated 385,000 individuals, live at or below 200% of the poverty threshold. That means a family of four earning $46, 925 a year are living in poverty. Without an income, and a dwindling supply of possessions to sell, I turned to close friends and family. And the cavalry arrived just in time. By my third trimester, I was admitted to the hospital several times. My mobility was limited to use of a walker and I attended physical therapy. At 35 weeks, my doctors decided to perform an emergency C-section since my heart rate climbed to 140. During the C-section, I experienced placenta abruption, my blood pressure fell and I began to hemorrhage. 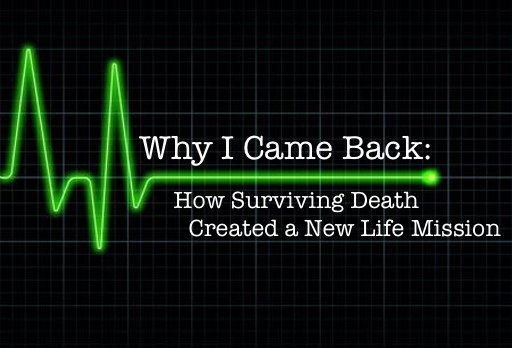 Eventually, my body gave up and I briefly died as they were trying to save my daughter’s life. The staff at St. David’s Hospital saved both of us that day. And a new life was born. I founded the Austin’s Largest Baby Shower in which this year, benefits Austin LifeCare, Any Baby Can and St. David’s Neonatal ICU. 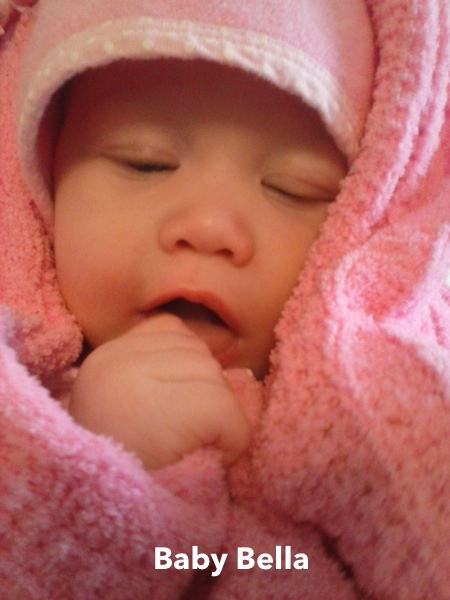 This is the start of a foundation and a new life for me and my beautiful little girl, Isabella. From this experience, I hold a deep conviction that we cannot abandon the most vulnerable in our community — pregnant women, starving children, the disabled or seniors. I did this to become a voice to this silent epidemic and role model to my daughter. Editor’s Note: The Austin’s Largest Baby Shower is running till May 31st. The event provides diapers and baby clothes as well as funding. Diapers and baby clothes can be dropped off at locations around Austin, TX or an online donation of $5, $10, $15, $25 or more can be made on the website. All proceeds of this fundraiser goes directly to its recipients. Crowdtilt.com waived its fees so donations excluding credit card fees go to the recipient. Thank you for being so brave to put this in writing. I cannot say I have walked in your shoes but I had three premature babies (two pregnancies) and I can only imagine how difficult this was for you. Would love to hear more about how things are going. There is inspiration in this piece.